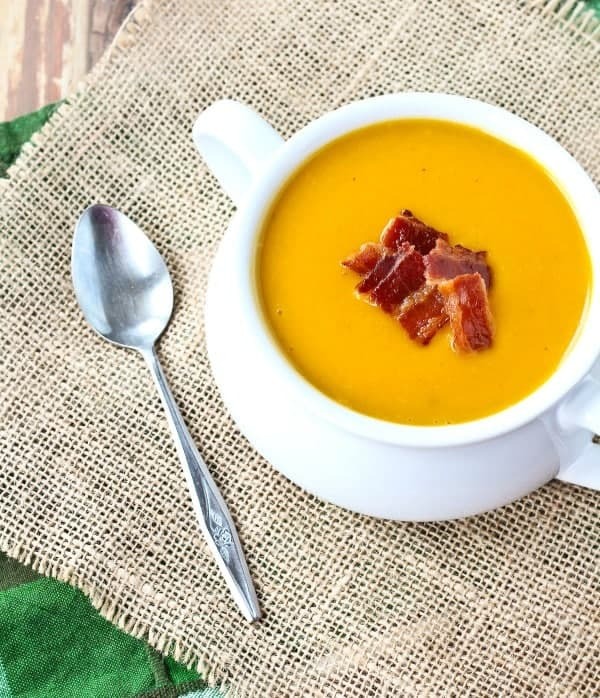 Warm and soothing, this squash soup with bacon is easy to make and perfect year-round. 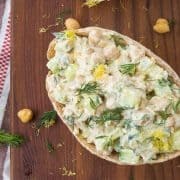 You’ll love the crispy bacon on top! 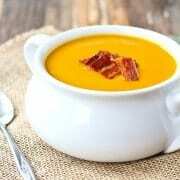 I have been sitting on this squash soup with bacon recipe since probably May. 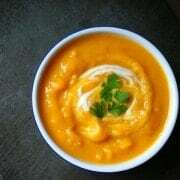 I love squash soup year-round but I’m not sure everyone does? I mean this has bacon so I’m pretty sure no one would have any complaints about it. It seems I can’t stop posting squash soup recipes, but I did hold myself back from posting in May, so there’s that. 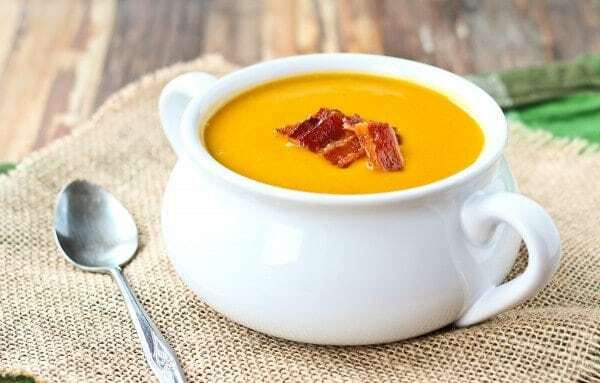 If this squash soup doesn’t seem like your cup of tea, you might want to try my Panera copycat squash soup or this butternut squash soup with smoked paprika. Still not satisfied? I have squash soup that is ready in under 20 minutes or this butternut squash soup that I completely forgot I had on my site (maybe I’m suppressing memories of when I didn’t know what I was doing?). 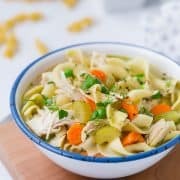 And of course, you don’t have to have soup that is JUST squash, you can also try my chicken soup with butternut squash. I’d say you’re more than ready to survive fall and winter now, wouldn’t you? Out of all the squash soup recipes on Rachel Cooks, this is probably the one I’ve made the most often. I love the savory flavors in it with just enough spice from the cumin, pepper, and chili powder to keep this soup from being boring. The touch of apple cider vinegar and brown sugar at the end gives it great balance (hat tip to my mom for those additions) and obviously the bacon is the icing on the cake. If you use a light hand with the bacon, you’re enjoying a really healthy soup. Or if you’re a turkey bacon fan, that’s a great option here too. Or you could try coconut bacon for a vegan option. I’ve never had it…have you? I’m ready to cozy up in a sweater with a bowl of this…how about you? 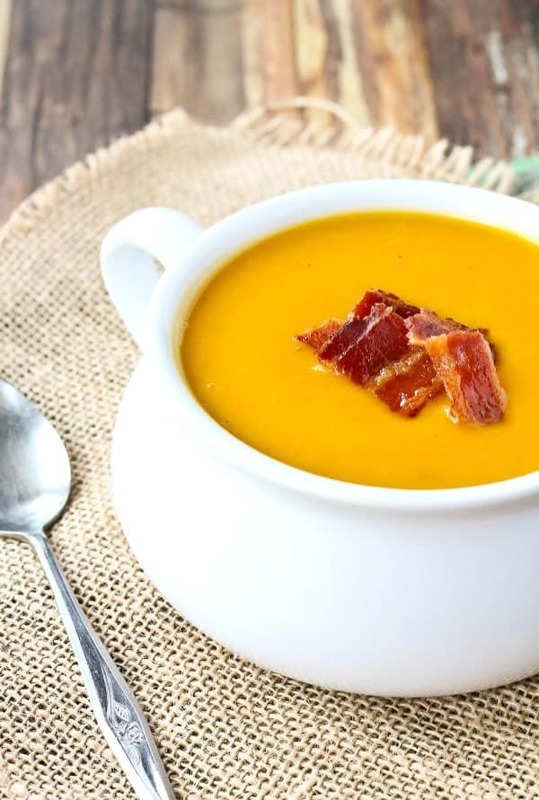 Warm and soothing, this squash soup with bacon is easy to make and perfect year-round. You won’t be able to resist the crispy bacon on top! Preheat oven to 425 degrees Fahrenheit. Toss squash with one teaspoon of olive oil and roast in oven for 15 minutes. Stir and roast 10-15 minutes longer or until squash is tender. In a large pot, heat remaining 1 teaspoon of olive oil over medium heat. Add onions and celery and cook, stirring, until onions are translucent and softened. Add spices and cook, stirring, for 1 minutes. Add broth and squash. Simmer 10 minutes. Purée using an immersion blender or in a traditional blender in batches. Be very careful! Verdict: One of my favorite lunches. Husband’s take: He loves this soup too. Maybe it’s the bacon. I like almost everything, this wasn’t so great. I’d love to hear what you didn’t like about it! This is one of my favorites and other people have raved about it, too. Could it be you missed an ingredient or mismeasured something?